I went to a Christmas party last night, the first one in . . . well, to tell the truth, I can’t remember ever going to a Christmas party, though I must have sometime or other. We were each supposed to bring a gift — a white elephant, they said. The term “white elephant” is derived from the supposed Thai tradition of a king bestowing such an elephant on a subordinate he wished to ruin. The elephants were costly to maintain, didn’t do any work, and needed to be available to anyone who wished to worship the holy creature. 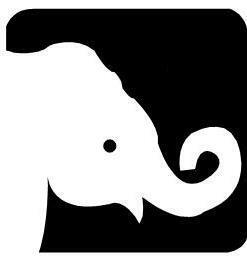 A white elephant, then, is something unnecessary that is more trouble than it’s worth. How that definition of white elephant fits in with a white elephant gift exchange, I don’t know, since the way the term is used now, a white elephant is simply something you have but don’t want, something you make, or maybe even something you buy that isn’t expensive. Some people at the party brought wrapped up junk — a bag of old video tapes, a cracked mug, long-expired candy. Others gave an elaborate gift like an insulated backpack or something special like a handmade birdhouse. It was an interesting psychological study. Some people very boldly went and snatched the opened gift they wanted. Others did it timidly or apologetically. The rest just took an unopened gift, choosing one carefully after examining all the offerings, or simply picking one at random. Even though I came away without a gift, I’m grateful I didn’t get stuck with a real white elephant. The zoning variances alone would have cost a fortune! We used to do this in my family among the adults. It was really fun but I usually got stuck with a dud gift. Thanks for making me smile today with your last comment…. I’m doing a white elephant thing at work next week. I’ll probably buy a bag of candy though because I can’t afford anything more elaborate. Should be fun though. On the other hand, a real white elephant could have been proudly featured in hundreds of Facebook and blog pictures. True, but an elephant is not a cat. FB people love cats. Yeah, I get more comments on FB when I mention the cats or post a picture of them than I do about everything else. Maybe I should get myself an e-cat, mabye a cyber-tooth tiger.